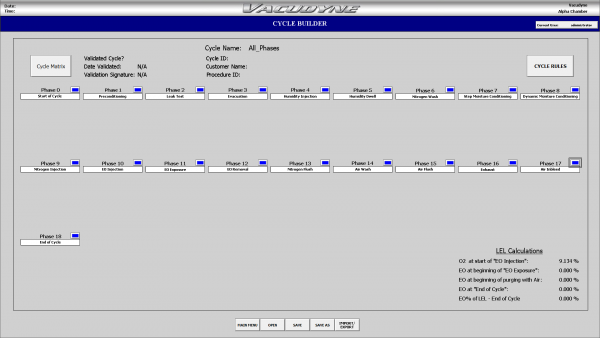 EO Sterilizer Control Systems | Vacudyne Inc.
Vacudyne’s new generation control is designed with user efficiency in mind. 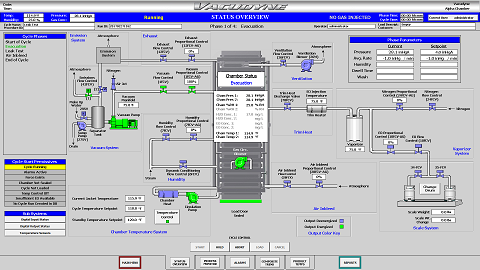 With an extremely user friendly Windows based graphical user interface, and intuitive drop down menus, Vacudyne’s new control system raises the bar for ease of use and efficiency. 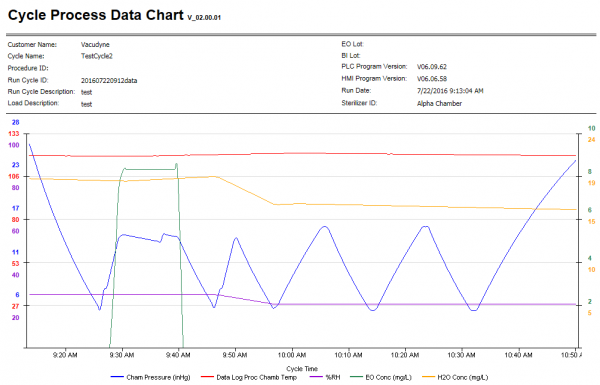 A SQL database provides a secure environment to protect your vital data while allowing access to historical information. 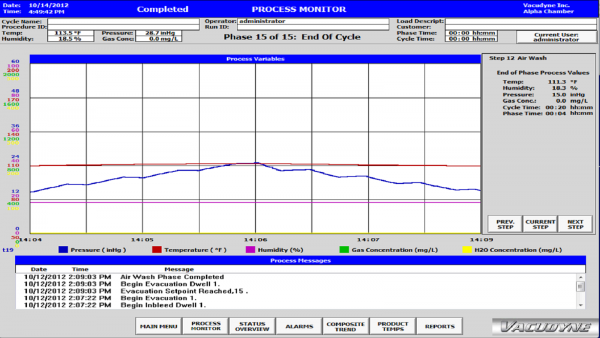 A Windows based Wonderware InTouch HMI displays current phase data in real time to keep you informed of cycle progress. 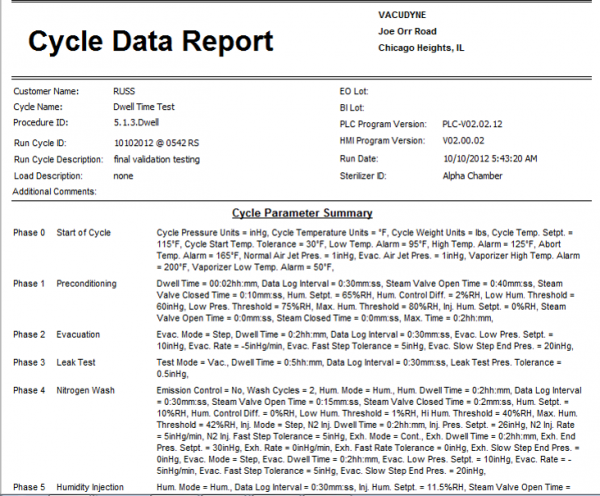 End of cycle reports summarize the information in an easy to read format. Add to that nearly 60 years of sterilization experience and with Vacudyne, you are truly partnering with an industry leader. 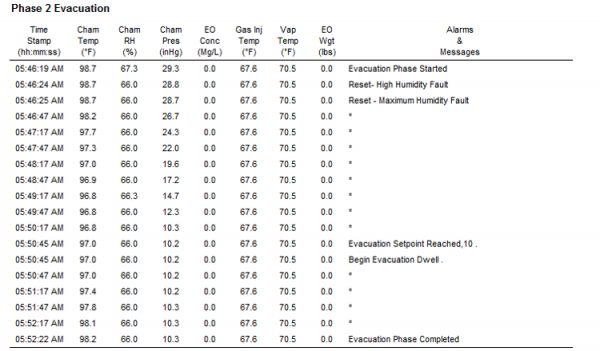 Available for both new installations and as a retrofit to replace existing Antares controls or other control systems.